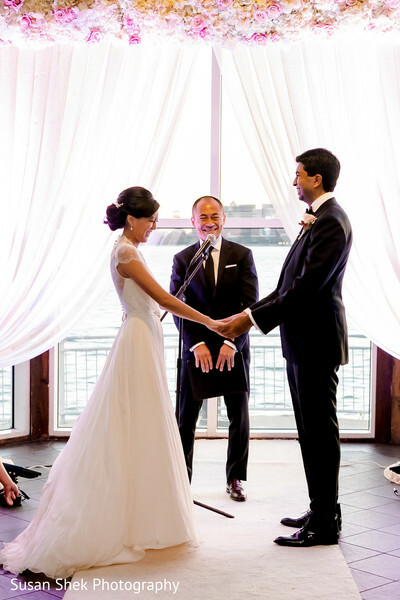 This dynamic NYC twosome had a fusion wedding that dreams are made of! 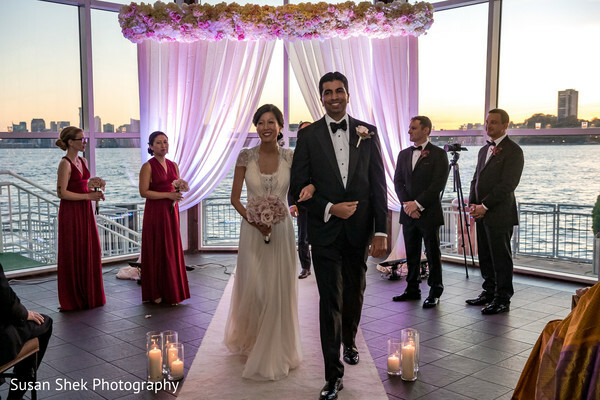 Christina and Arun’s celebrations took place at the ultra mod waterfront Lighthouse at Chelsea Piers. 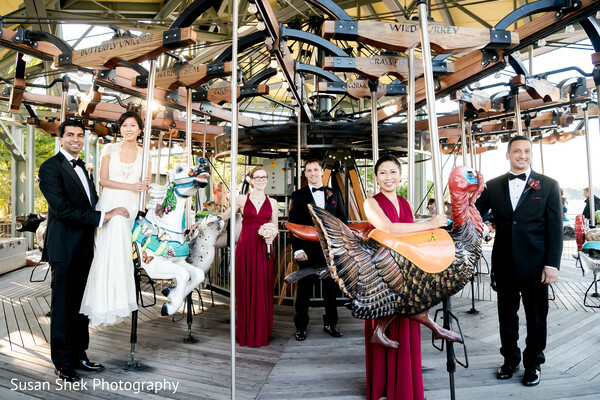 The venue is an all enclosed glass space that gives you the feeling of being outdoors without the pains of unexpectedly frigid temperatures or raindrops! 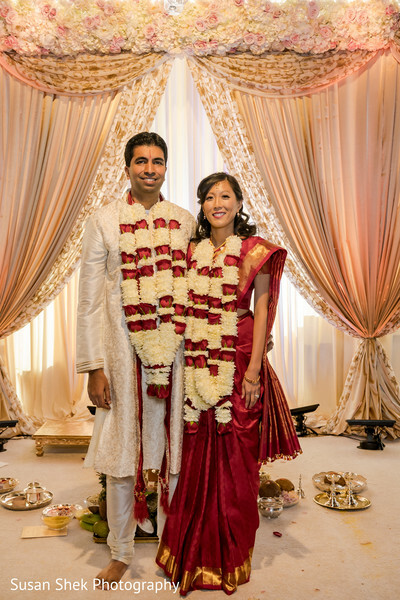 Christina and Arun had two wedding events and entrusted the incredible Touch of Elegance Event Planners with all their chic event details! To bring the celebration to life, the twosome brought in the design visionaries at Elegant Affairs to beautify the space and the results were breathtaking! 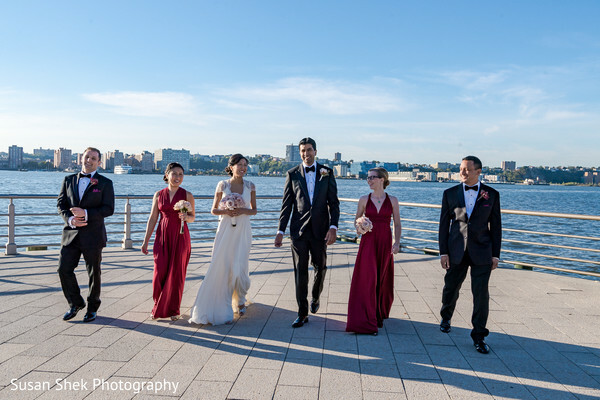 The first event of the day was a traditional Indian ceremony overlooking the Hudson River and the Statue of Liberty. 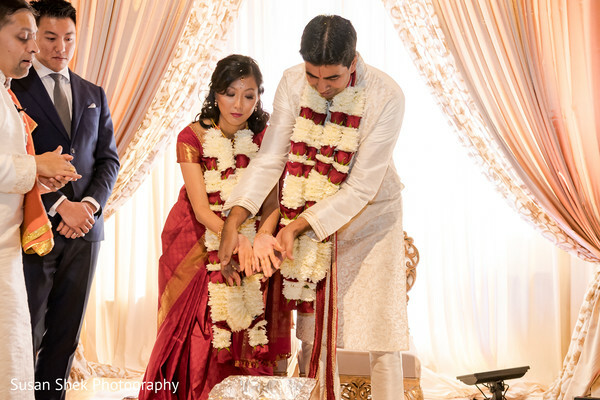 For the ceremony, glass balls were strung from the ceiling and gorgeous blush mandap was constructed. 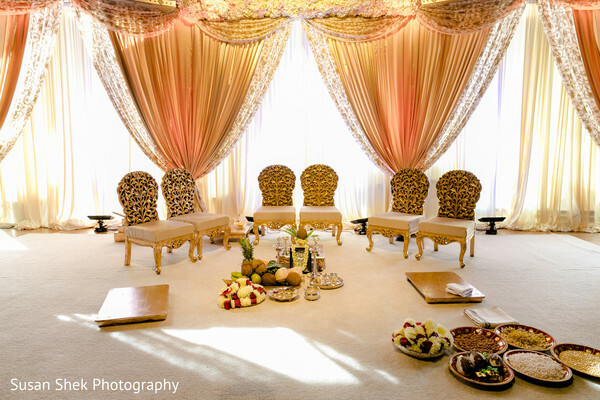 The ambiance was chic, airy, and fresh, and was the perfect place for the radiant couple to be named husband and wife! Lovely Maharani Christina was resplendent in a red sari and ornate gold jewels. Her divine hair and makeup were by Heena Das and Ai, and perfectly suited the elegant surroundings! 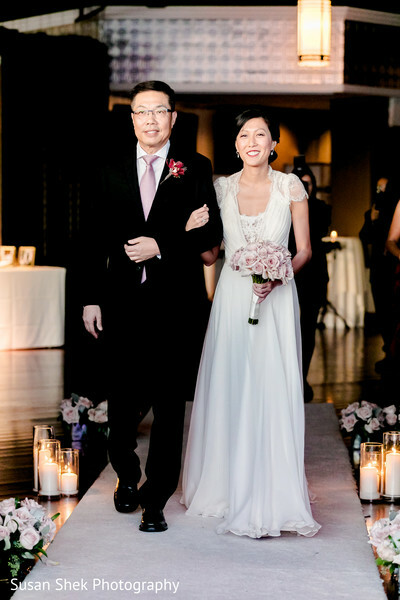 We are itching to watch the wedding film by Patrick Lada, but in the meantime, bask in the beauty of this wedding in the full gallery by Susan Shek Photography! 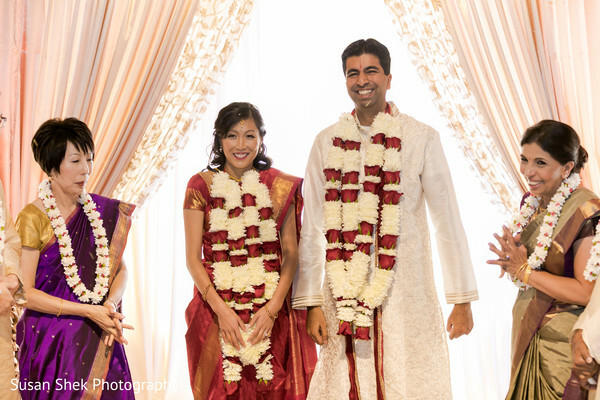 Coming right up is Christina and Arun’s second ceremony and reception deets!